What Degree Do You Need For Six Sigma? Six Sigma is a renowned management strategy that was established in the 1980s for businessmen, managers, consultants, and executives. It focuses on improving the operational performance of a firm with the help of statistical and mathematical analysis. 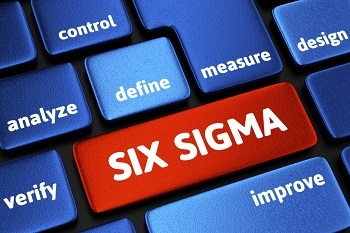 Six Sigma uses various sorts of information to reduce costs and improve production. It is also useful for minimizing the chances of failure related to work. Various companies use Six Sigma to make their business plans. These training programs are offered through on-campus programs as well as online schools and colleges. Most of these programs are designed for professionals who are engaged in part time or full time jobs. Individuals who have computer skills and understanding for mathematics and statistics can apply in these programs. Six Sigma is a management strategy which is intended to improve the operational performance of a firm. Individuals who earn the green belt certificates can enroll in Six Sigma black belt certification training programs, although having a former is not a requirement for applying for the latter. It is a more advanced certification and enables students to learn and incorporate various business management skills. It allows students to have a deeper understanding of principles of quality improvement. Earning this certificate allows students to improve their prospects of moving to leadership positions. Students do not need to have a green belt certification to enroll in black belt certification programs. Six Sigma professionals can work as statisticians in various capacities, which according to the O*NET have a a median salary of $75,560 as of 2012. However, the precise salary of will depend on their certification level and experience. Q:Which are the popular Six Sigma jobs? A:Mechanical design engineering, Industrial engineering, Manufacturing process engineering, consultation and project management are a few popular jobs after completion of a six sigma degree. Q:Which certifications are offered in the six sigma degrees? A:Six Sigma Degrees offer green belt and black belt certifications. Black belt certification can only be pursed upon completion of the green belt certification. Q:Which courses are offered in six sigma degrees? A:The courses taught in six sigma programs comprise of statistical analysis, team building, data collection,research methods and project management. Students have the option of pursuing these courses through campus based or online schools. Q:Briefly explain the six sigma and mention a few online schools offering degree in six sigma? A:The six sigma is a business methodology designed by Motorola. The methodology improves business functions and processes which eliminate and reduce defects, leading to perfect products for the end consumer. It is similar to the concept of total quality management. Universities are now offering full fledge degree programs in this area such as certificates in six sigma, bachelor and master degree programs n six sigma. A few popular online universities offering degrees ion six sigma include Grand Canyon University, Saint Joseph University, Kaplan University, and Villanova University. Q:What is the benefit of pursing the online Six Sigma degrees? A:Online Six Sigma degrees allow students to take classes whenever and however they see fit. It provides them the opportunity of taking up a full-day time job and complete their online degree after office timings from the ease of home other than rushing to attend a class at some campus-based institute. Online six sigma education will also be comparatively cheaper and will save a lot of time which would have been wasted commuting to a physical location for the class. Most importantly, online students pursue the degree at their own pace without having to rush through the course to meet up the pace of the entire class. Q:What is the Six Sigma degree course? A:The person joining Six Sigma degree program will get introduced to the strategy of management through course line including project management, data collection, measurement technique, statistical analysis and team building. The methodologies taught are named as DMAIC, which is an abbreviation of the words define, measure, analysis, improve and control. Q:What is the duration of the Six Sigma degree programs? A:The Six Sigma degrees are offered in the bachelor and the master's program. The Bachelors in Six Sigma is a four year undergraduate program whereas the Master in Six Sigma is the two year graduate program. However, both the programs can be completed in as much time as the student sees fit if they are opted in the online program.